Mobilizing for Pittsburgh Trial, Solitary Voices, Majid – Rise in Peace – Free Russell Maroon Shoatz! Welcome to our April newsletter! This month, we bring you the latest on Maroon’s forthcoming trial, a brief message on the recent passing of long-held political prisoner Abdul Majid, audio from a recent panel discussion on solitary confinement at the University of Pittsburgh Law School (including Albert Woodfox and Robert King), and part two of an interview with former political prisoner Ashanti Alston, regarding presidential politics, parenting, and Palestine. As always, we thank you for your continued support and solidarity. Please feel free to contact us directly with your thoughts, questions, and ideas to bolster our efforts on behalf of Maroon and all u.s.-held political prisoners. Please also consider contributing to our ongoing fundraising for Maroon. As we prepare for Maroon’s court date in July, and various activities in Pittsburgh and beyond to highlight the trial, your financial support is especially important at this time. Maroon’s Goes to Court in Pittsburgh this July – You Coming? As we mentioned last month, a trial date of July 11, 2016, has been set for Maroon’s suit against the Pennsylvania Department of Corrections for violations of his 8th and 14th Amendment rights during his over two consecutive decades in solitary confinement. If you missed some of the recent coverage on Federal Judge Cynthia Reed Eddy’s ruling that Maroon’s suit must be decided by jury trial, check out Victoria Law’s article, “How a Former Black Panther Could Change the Rules of Solitary Confinement,” published in The Nation, to get up to speed. We send our heartfelt condolences to the family and supporters of Abdul Majid, who died on April 3, 2016, after serving over 30 years at Five Points Correctional Facility in upstate New York. Abdul was involved in many of the Black Panther Party’s community-based survival programs, including free health clinics, free breakfast for children, the fight to decentralize the New York City public schools and police department, and more. For this reason, he was targeted by COINTELPRO, charged and convicted of murder and attempted murder of a police officer. Abdul and his co-defendant, Basheer Hameed, were forced into three separate trials. The first trial ended in a hung jury – divided along racial lines; the second trial was declared a mistrial by the judge immediately after the jury acquitted Basheer of the murder charge; both were finally convicted in a third trial. Abdul was sentenced to 33 years to life. Basheer Hameed made his transition in prison in 2008. 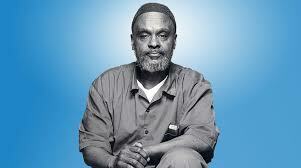 Abdul was scheduled for a parole hearing next month. While incarcerated, Abdul was well-known and respected for his work with the Lifer’s Organization, both inside and out of the New York State Department of Corrections, for facilitating classes, along with his leadership and counseling skills. In addition, he was active in helping young male prisoners cope with long sentences, conduct legal research, and provide civics training. Find out more here. Rest in peace and power Abdul! We LOVE you! On April 15, 2016, the International and Interdisciplinary Perspectives on Prolonged Solitary Confinement convening took place at the University of Pittsburgh Law School. A panel discussion entitled, Experiencing The Harm and Suffering: The Prisoner’s Perspective, featured Albert Woodfox and Robert King of the Angola 3, Dolores Canales, executive director of California Families Against Solitary Confinement, among many others. We invite you to listen to a recording of this panel, moderated by Bret Grote, of Abolition Law Center and Maroon’s legal team, and Jules Lobel, of the Center for Constitutional Rights. Finally, we bring you the second installment of a two-part interview with Ashanti Alston, former Black Panther, soldier of the Black Liberation Army, and political prisoner of a decade and a half. In part two of the interview, Ashanti shares his thoughts on the presidential race, parenting, and why he flies a Palestinian flag on the house. Our continued love and gratitude to you as we push forward in the fight for Maroon and all political prisoners.